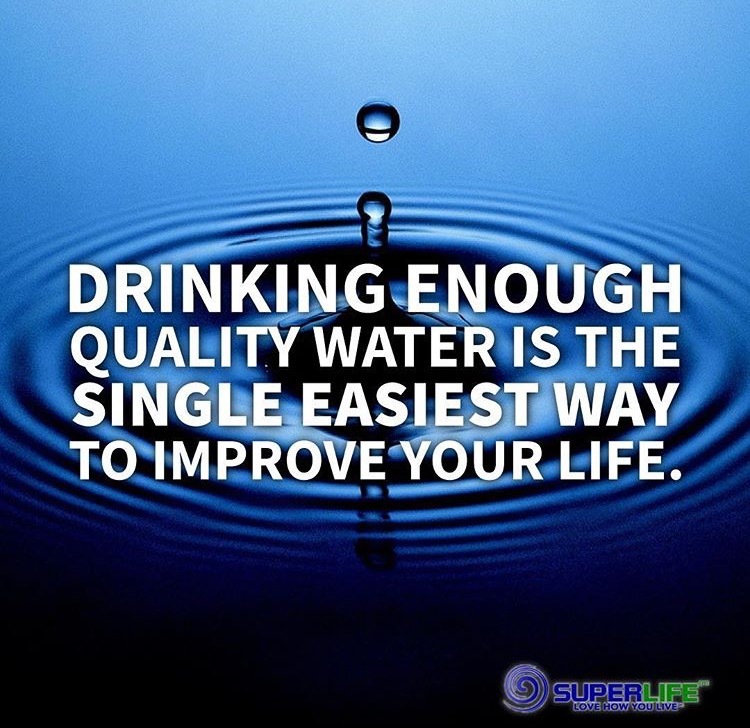 Did you know our bodies are approximately 60-70% water. to replace and replenish that what we lost? It is a good rule of thumb to at least drink half of your bodies weight in water. This alone would not match what you lose during any exertion or exercise. By eating a lot of fruits and vegetables that are have a high water content. I work outside 10-12 hours a day. And in the summer heat, I consume a lot of water. I don't consume any sports drinks because of all the added sugar and food coloring, etc. Gatorade is just not like it was in the 70's. 4 cups warm filtered water. 2 tsp honey or agave. 1/4-1/2 tsp Pink Himalayan salt. I put them in a mason jar or BPA free plastic bottle and keep them in my cooler. 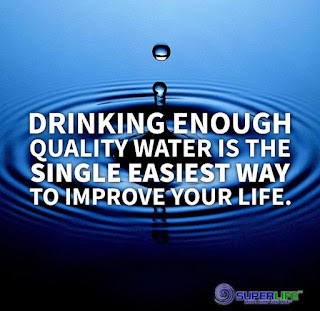 It's amazing how refreshed and energized you feel instead of plain water. If you are into non-flavored water, I always have a gallon of distilled water with 1/2 teaspoon of Pink Himalayan salt mixed in, and chilled in the cooler. Your body will thank you for replenishing those lost nutrients and electrolytes. This month's reading and viewing suggestions have more to do with the environment. There is difference of opinions on whether "climate change" or "global warming" is a real thing. I believe it is very real and a very major threat to our environment and how we will deal with human existence. Multiple lines of scientific evidence show that the climate system is warming. Climate Change, "11 things you need to know" is a great article by Conservation International. Splitting of the Polar Vortex" by Forbes Magazine is frightening. Did you know that the North Pole even though still shrouded in darkness for another month has had record warm temperatures. 45' Fahrenheit above normal! It has had above freezing temperatures. We all remember Deepwater Horizon oil spill in 2010. This could very well happen again. The Dept of Interior headed by Ryan Zinke wants to allow offshore drilling to be resumed off the coasts of the U.S. It is a recipe for disaster. Make time to read an excellent book by Abraham Lustgarden titled Run to Failure. It details British Petroleum's negligent actions leading up to the Deepwater Horizons blowout. Then sign the petition from Surfrider Foundation to stop offshore oil drilling. Another major problem with our oceans is plastic pollution. Plastic "lives" forever. Gradually over time in just degrades into smaller and smaller pieces. Only 9% of plastic is recycled, the rest ending up in our waterways, oceans and landfills. Sea life and wildlife ingest the degraded plastics and die a slow agonizing death. Small fish consume the microscopic plastic particles believing they are a food source. They are consumed by larger predators, which are then consumed by those who use fish as a source of food. Check out this article from Global Citizen about How a College Dropout Plans to Rid The Oceans of Plastic. More on plastics: What You Should With Those Little Silica Bags. Switching gears.. on to a few nutrition recommendations. Inflammation in our bodies is the root of many chronic health issues. We all know the importance of Eating Our Greens, here's 8 Greens You're Probably Not Eating Enough. For my podcast recommendation: Rich Roll talks with Jared Blumenfeld, on planetary preservation. Jared has worked with National Resource Defense Council, the International Fund for Animal Welfare, the City of San Francisco, and was the EPA's administrator for the Pacific Southwest Region. For your viewing pleasure check out Plant Pure Nation, available free on YouTube and Amazon Prime now for a limited time.